a href=”http://foryourloveofwine.com/wp-content/uploads/2013/09/JeffersonBottles.jpg”> The American Wine Revolution began in the heart of Virginia wine country. Thomas Jefferson had a vision of producing world class wines in the new colony that would rival its old world counterparts. Jefferson’s love of the European Vinifera began a 3o year old pursuit that didn’t end very well in his lifetime. 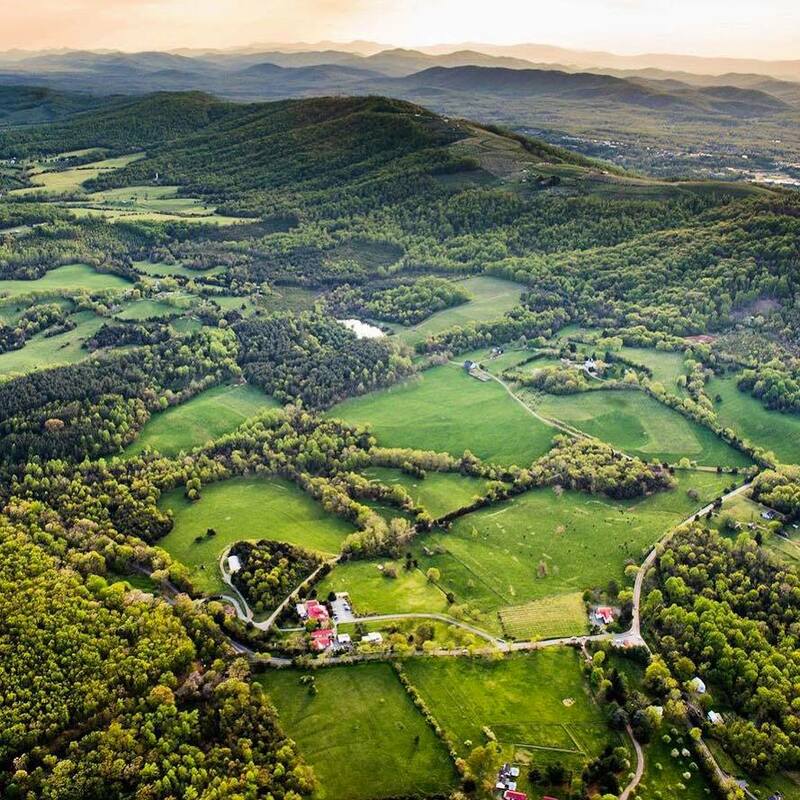 Fast forward two hundred years and Virginia is now being recognized as a top 10 wine destination in the world. Jefferson would be proud! 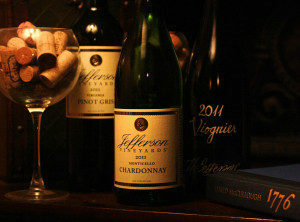 We continue our celebration of Virginia wine month with a stop in Charlottesville for a sip of Jefferson’s Viognier. Viognier is an aromatic white grape that’s indigenous to the Rhone Valley of France and it’s now become Virginia’s signature grape! 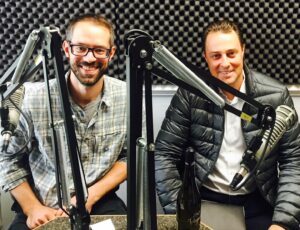 Depending on the vintage, the winemaker at Jefferson Vineyards typically blends in small amount of other varietals to create the perfect balance. Other varietals often include Riesling, Traminette, Petit Manseng and Pinot Gris. Keep in mind there will always be a minimum of 75% Viognier in the blend to adhere to American wine laws. This is an exotic wine with aromas of sweet jasmine, honeysuckle, nectarine, candied lemon, tangerine zest and tropical fruit. The palate echoes the aromatic profile and finishes with hints of cardamom, ginger and white pepper. This medium bodied wine has a round mouthfeel, good balance and a soft lingering finish. It’s a real crowd pleaser! 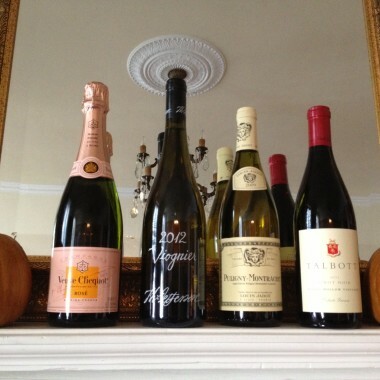 Try switching up your traditional Thanksgiving wine and feature a Viognier for your feast. It’s also delicious with grilled swordfish and tropical salsa, fried oysters, roast duck with orange sauce and triple cream brie cheese with quince paste or fig spread. Selecting the perfect Thanksgiving wine pairings can leave you with a serious case of heartburn, but it doesn’t have to be so difficult. 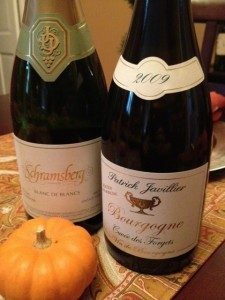 Whether you are hosting the holiday meal or simply in charge of bringing the wine, let me help ease that holiday stress by taking the guesswork out of Thanksgiving wine pairings. I always like to start with a glass of sparkling for the appetizer course as a nice way to wake up your palate. I also like to serve a white and red option with the main course. My favorite varietals for Thanksgiving include the white aromatic grapes (Riesling, Gewurtztraminer and Viognier), Chenin Blanc and of course Chardonnay. I had the opportunity to attend the Virginia Wine Summit last month at the Jefferson Hotel in Richmond. We sampled Viogniers from around the world and the Virginia Viogniers really made quite an impression. At its best, Viognier has the creamy viscosity of Chardonnay, the floral, fruit and spice notes of a Riesling or Gewurtraminer and the refreshing acidity of a Sauvignon Blanc, making it a very attractive partner for your Thanksgiving feast. When it comes to red, think about wines that boast bright fruit and good acidity. I gravitate to Pinot Noir, Pinot Meunier, Gamay (Beaujolais) and Cabernet Franc. A little wine trivia – did you know that Cabernet Franc and Sauvignon Blanc are the parents of Cabernet Sauvignon? I also wouldn’t rule out a great rosé especially from Provence. Many people only drink rosé in the summer, but you are really missing out. 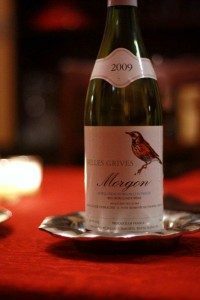 This is perhaps one of the most versatile Thanksgiving wine pairings with its bright red fruit and vibrant acidity. This is a wine that should be served chilled and is bound to please both red and white drinkers. If you are looking for one wine to get you through the entire meal, reach for a sparkling rosé. I love the J Brut Rosé as a nice mid-price option or if you want to splurge reach for the Veuve Clicquot Rosé Brut. Pinot Meunier is a clone of Pinot Noir and is one of the grapes used in Champagne. The best examples boast fruit notes of raspberry and cranberry in addition to nice herbal and floral notes which make it a lovely match with that homemade cranberry sauce and stuffing. I am going to make a sweet sausage and sage stuffing with cranberries, this is sure to be a match made in heaven! Keep in mind that turkey has a pretty neutral flavor, so you really want to keep your side dishes in mind when choosing your wines. Most sides tend to have lots of cream and butter, so I really try to choose wines that have a crisp refreshing acidity that will cut through that fat and cleanse your palate in between bites. Note: Most of the vintages listed below are current releases. Sparkling wines listed without a vintage are non-vintage or NV.